Today’s world is very competitive. Everyone is running after the success. But how many of them can reach that apex of their career life? The answer will be approximately 25% or at least not more than 40%. The reason behind this is choosing the wrong subject in the first step of their career life. That means in Graduate level. Our dream of being successful in our career life drives us to choose a subject in graduate level. So it is very important to choose a right subject in graduate. Otherwise, our one wrong step may spoil our whole dream! That’s why it’s better to take time to think over it so that you need not regret later. Before taking any decision, at first, a student should find out his aim in life. He should choose a subject which he loves as well as which is demanding in the present world. Because after all as a human, he has to serve the people of the world. Now thinking about what to choose and what to not? The answer is very easy. A few days ago the profession which was not acceptable in the civilized society, today its demand is undeniable. And that is Textile Engineering, day by day which demand is increasing in the twinkling of an eye. A global textile business is flourishing at high speed. In present industrialization, textile industry brings a great revolution. The textile industries are very much responsible for the developed economies. The profit in this sector is unbeatable. Within a very short time, the textile industry is becoming very popular with the businessman than other industries. The developing countries like Bangladesh, Sri Lanka, India, Myanmar, Turkey, Vietnam, Indonesia, and Pakistan are earning maximum foreign currency from the textile sectors. In the present world, the demand for a textile engineer is very high. That’s why the top universities of the developed countries are offering scholarship on Textile Engineering. So after completing graduation in Textile Engineering, it would be easy to get a scholarship in abroad for higher studies. Even a textile engineer can easily emigrate abroad with a job just after completing graduation! Most of the people think that the main job of a textile engineer is only sewing, which is similar to a tailor. But unfortunately, the idea of the textile field is totally wrong! Doing BSc in Textile Engineering means to have a clear knowledge of the full process of textiles. This process starts with the yarn and finishes with a ready-made garment. It is actually a lengthy process. For this reason, BSc in Textile Engineering is classified into different major subjects. Such as yarn manufacturing, fabric manufacturing, textile management, wet processing, apparel manufacturing and textile fashion designing etc. None of these can be avoided in the textile sector. Because these all are included in the full process. That means a textile engineer has the knowledge of not only sewing but also weaving, knitting, dying, printing and what not! 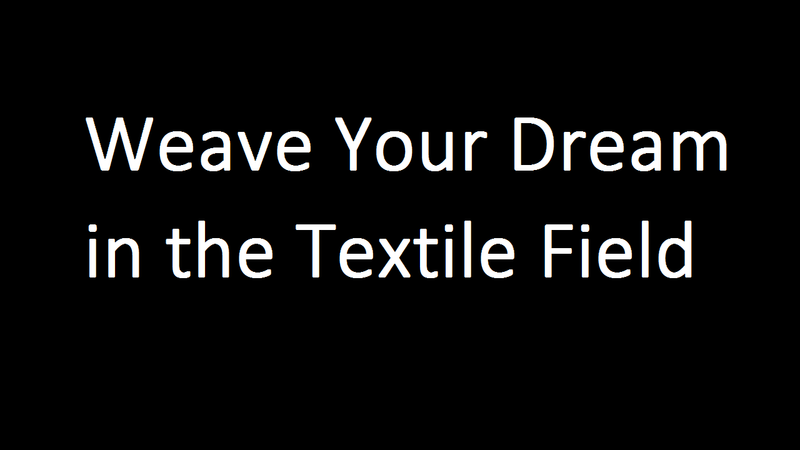 A student who will start his BSc in Textile Engineering will know every ins and outs of textile fields. The factory is the heart of the textile field. Without having factory knowledge a textile engineer can’t be complete in spite of having many degrees in textile. That’s why most of the universities ensure at least two months of internship in a factory. In this way, the textile engineers can able to gather practical knowledge besides theoretical knowledge. All of this knowledge leads a textile engineer to his ambitious career life. Getting a job for a textile graduate is not a big deal. A textile engineer has many options after his graduation. He can work as a merchandiser, as a garment technologist, as a production manager and many more. There is also an opportunity in the government job for a textile engineer under the ministry of textiles. In both, a textile engineer can get the opportunity to work with the foreigners. This helps him to expand his knowledge. And he can easily switch his job either in his country or in another country. No other profession will provide this facility! Moreover, the remuneration of a textile engineer is very attractive as well as other facilities! In this modern era, the thinking of the people is changing gradually about a textile engineer. Now people realize the value of BSc in Textile Engineering. It’s not that much hard to study in BSc in Textile Engineering. So pupil should think over it and should increase their interest in this field for the progress of the global industrialization. This will bring not only their bright career but also a well-developed world.